Research In Motion on Tuesday appointed Frank Boulben as its new chief marketing officer and Kristian Tear as its new chief operating officer. "Kristian and Frank bring extensive knowledge of the rapidly changing wireless global market and will help RIM as we sharpen our focus on delivering long-term value to our stakeholders," said Thorsten Heins, RIM's President and Chief Executive Officer. "Most importantly, both Kristian and Frank possess a keen understanding of the emerging trends in mobile communications and computing." Tear comes from Sony Mobile Communications where he held a position as executive vice president. He has also worked with Ericsson. Boulben is the former executive vice president of strategy, marketing and sales for LightSquared, the failed 4G LTE wholesaler. He has also served as the global director of commercial strategy for Vodafone Group and the executive vice president of brand and consumer marketing for Orange. Waterloo, ON – Research In Motion (RIM) (NASDAQ: RIMM; TSX: RIM) today announced key additions to its executive leadership team with the hiring of Kristian Tear as Chief Operating Officer and Frank Boulben as Chief Marketing Officer. With deep experience in the mobile computing industry, Mr. Tear and Mr. Boulben will complement RIM's existing executive team as the company continues to focus on expanding its global customer base and prepares for the launch of its new BlackBerry 10 platform. "Kristian and Frank bring extensive knowledge of the rapidly changing wireless global market and will help RIM as we sharpen our focus on delivering long-term value to our stakeholders," said Thorsten Heins, RIM's President and Chief Executive Officer. "Most importantly, both Kristian and Frank possess a keen understanding of the emerging trends in mobile communications and computing." Mr. Tear joins RIM from Sony Mobile Communications, where he served as Executive Vice President. He previously held a variety of operational leadership positions with Ericsson in Europe, Asia and Latin America. At RIM, Mr. Tear will serve as Chief Operating Officer overseeing all operational functions for handhelds and services, including research and development, products, global sales, manufacturing and supply chain. "RIM is an important player in the mobile industry and I am excited to be a part of its future," said Mr. Tear. "I look forward to working with the talented RIM employees and harnessing their ingenuity and creativity for the benefit of more than 77 million BlackBerry users around the world. I also look forward to helping RIM attract a brand new generation of BlackBerry users." Mr. Boulben is the former Executive Vice President of Strategy, Marketing and Sales for LightSquared. He joined LightSquared after serving as Global Director of Commercial Strategy for Vodafone Group and Executive Vice President of Brand and Consumer Marketing for Orange Group. 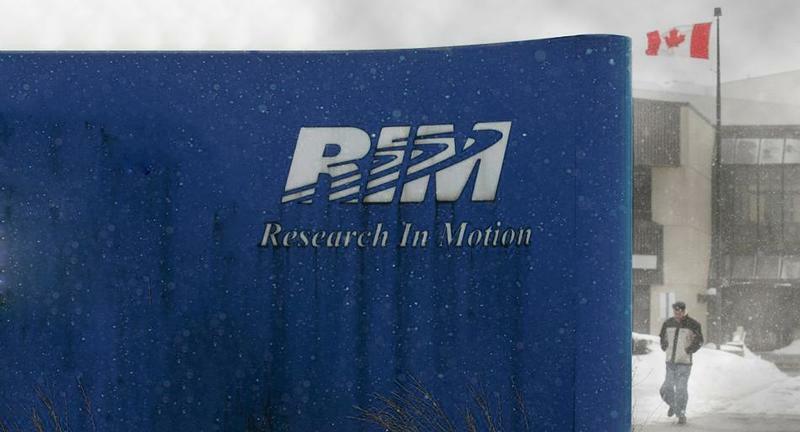 Mr. Boulben will oversee global marketing efforts at RIM. "RIM is a pioneer in the mobile world and the BlackBerry brand is a global icon," said Mr. Boulben. "We all know how fast the mobile arena evolves and with the BlackBerry 10 platform, I believe RIM will once again change the way individuals and enterprises engage with each other and the world around them. I could not resist the opportunity to be part of that transformation." Kristian Tear brings almost 25 years of wireless experience in general management, sales and marketing, services and operations within the telecommunications, infrastructure and consumer industries. Most recently, Kristian served as Executive Vice President at Sony Mobile Communications AB, a subsidiary of Sony Corp. Kristian served as a member of the Executive Management Team, as Chairman of the Board of Sony Mobile Inc Americas and Sony Mobile International AB. He was also Chairman of the Product Business Council, Chairman of the Accessories Business Unit, Board member of Sony Mobile Japan and China. Previously, Mr. Tear also served as the Corporate Vice President of Sony Ericsson Western Europe based in Munich, with responsibility for the region Western Europe and Global Customer Accounts. Prior to that, he served as Corporate Vice President at Sony Ericsson Headquarters in London. From 1999-2005, he served as President and CEO of Ericsson in various regions and markets, including in South East Asia, Germany, Switzerland and Austria and Central America. Mr. Tear holds a Masters Degree in Science from the Royal Institute of Technology in Sweden and completed the Ericsson Executive MBA program at Columbia University in New York. Frank Boulben brings to RIM more than 20 years of international experience in the wireless industry with senior marketing and sales roles at global wireless carriers such as Vodafone and Orange. Most recently, he was the Executive Vice President for Strategy, Marketing and Sales for LightSquared. He was recruited as employee number two to create a new 4G-LTE nationwide wireless network in the United States. Previously, Frank was the Director of Commercial Strategy for Vodafone Group, responsible for strategic marketing, customer insights and segmentation, pricing, customer investment optimization and roaming. Prior to Vodafone, Frank was the Executive Vice President for Brand and Consumer Marketing for Orange Group, responsible for brand and communications, consumer propositions, value-based marketing, which included pricing and customer investment optimization, customer insights and segmentation, CRM, product marketing and devices portfolio management. Before joining Orange, Frank spent eight years working for Vivendi Universal, occupying several strategy and marketing roles for SFR and then as CEO of Vivendi Universal Internet division with a focus on mobile services. During 2005-2006, Frank served on the Board of the GSM Association (the world's largest trade association representing more than 800 wireless carriers in 219 countries) and was the Chairman of the Strategy Committee. He holds diplomas from the École Polytechnique and from the École Nationale des Ponts et Chaussées, where he studied mathematics, physics and economics.